So I have a confession. I used to say that I hated brussels sprouts. I used to go visit my great-grandma in a nursing home almost every week and she often has brussels sprouts on her lunch platter. Now, in all fairness, I don’t have a clue how they were cooked, but I can almost guarantee that they were NOT roasted….. I’m pretty sure they were boiled or something. Needless to day, they smelled and looked so terrible that I refused to eat them anywhere ever. My parents must’ve not like them in the first place because I don’t ever remember my mom cooking them either. Once I discovered that roasting vegetables makes them taste about a million times better than steamed or boiled, I decided it was high time to try out roasted brussels sprouts. The first time I made them was a huge success. Seriously! I didn’t follow a recipe, just treated the brussels as if they were broccoli…. it worked beautifully! 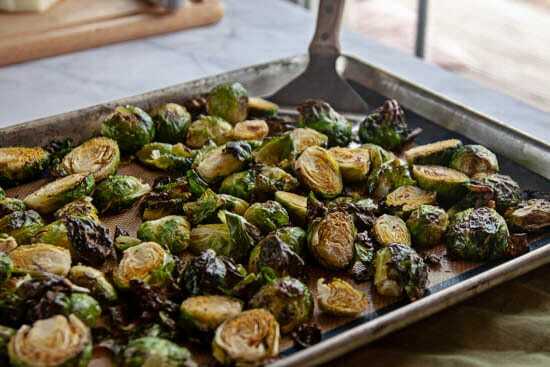 All that to say this: If you think you dislike brussels sprouts, or any vegetable, try roasting it with a little olive oil and some good salt at 425. You might be surprised at how much you love said vegetable roasted. If you like this recipe, you might like some others I’ve posted like this Simple Greek Salad with Homemade Vinaigrette Dressing or these Garlic and Dill Roasted Red Potatoes. 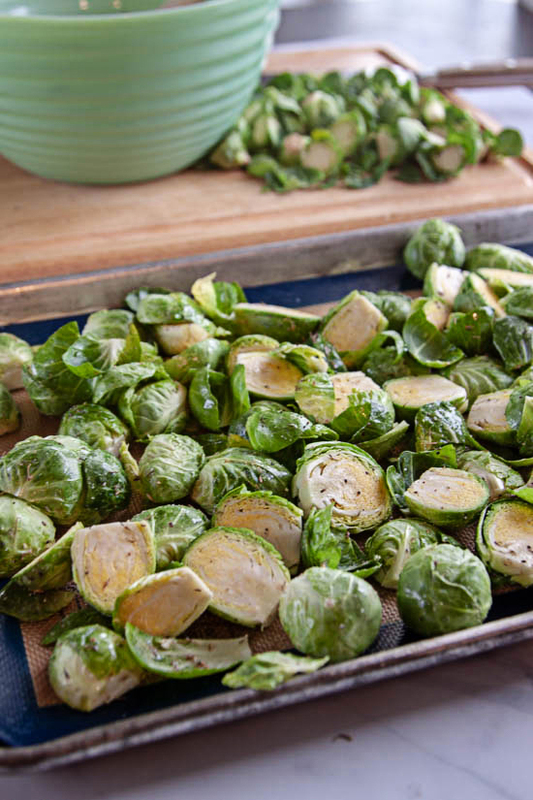 First, remove any of the loose outer leaves on the brussels sprouts, then cut the larger ones in half. Next you’re going to toss them with about 2 tbsp olive oil, 1 tsp of thyme, 1/2 tsp garlic salt, 1/2 tsp onion salt, 1/4 tsp pepper, and 1/4 tsp pink hymylaian salt. 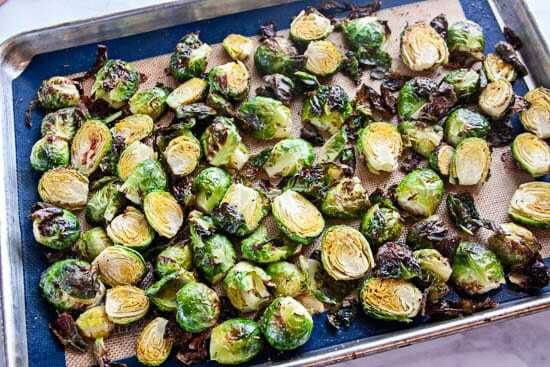 Spread the brussels sprouts out onto a baking sheet. 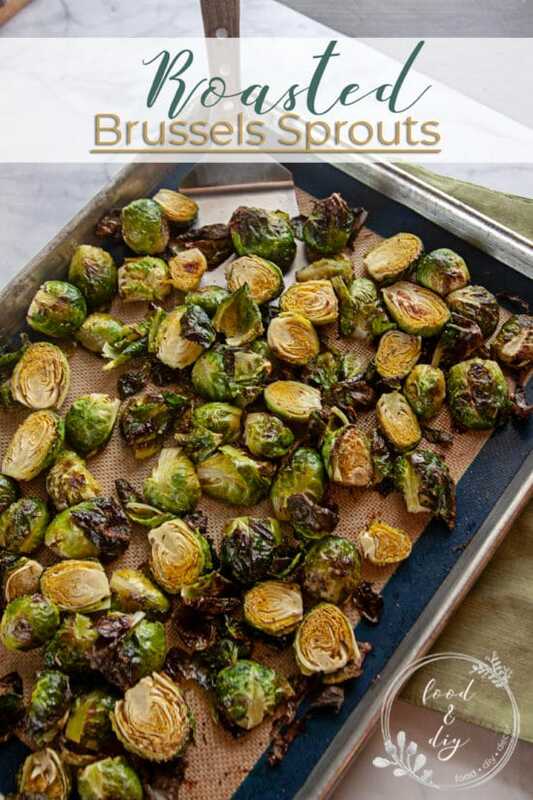 Roast in a 425º oven for 23-25 minutes, removing when the brussels sprouts are browned a carmelizing. If you can contain your excited, serve these with anything you like. If you are like me, you can eat them straight off the baking sheet, barely waiting for them to cool. 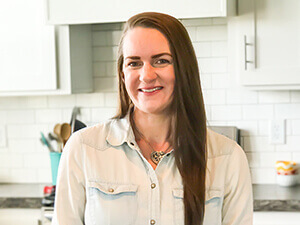 What is a vegetable that you always thought you hated but actually love if it’s cooked properly? Remove all loose leaves from brussels sprouts, cut any large ones in half. 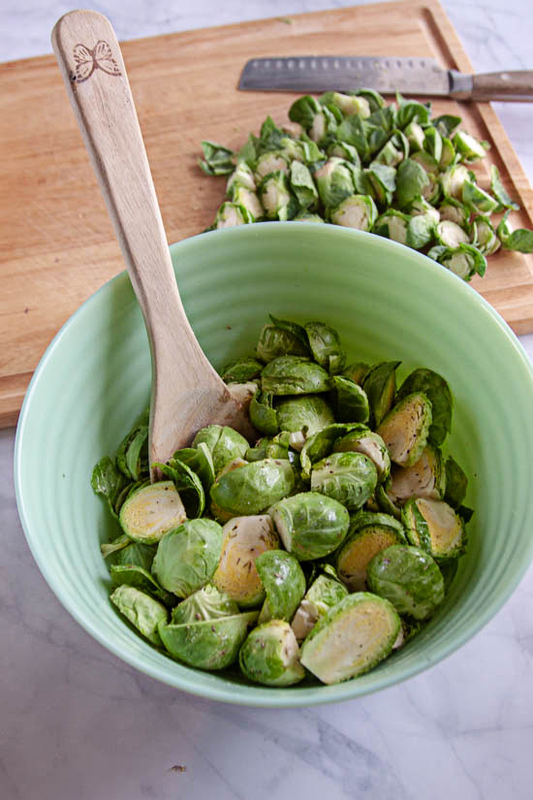 Toss brussels sprouts with olive oil and seasonings. 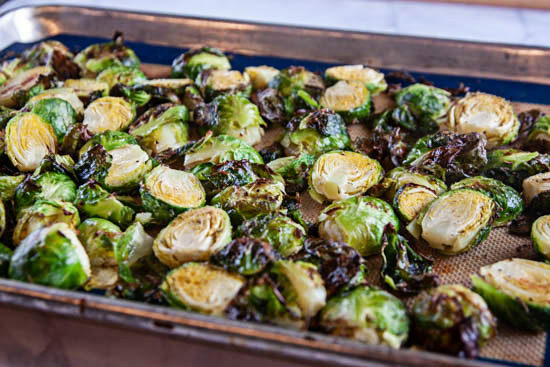 Spread brussels sprouts onto a baking sheet and roast for 23-25 minutes. 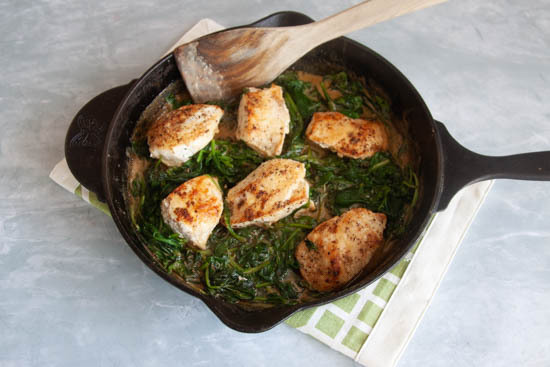 Serve with any entree you like…. or eat them all yourself!